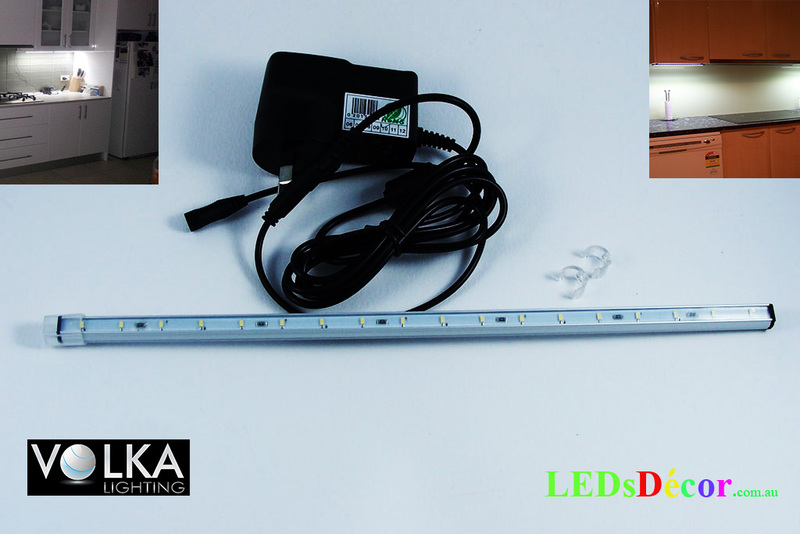 Under Cabinet LED Lighting KIT Reduced - VOLKA Lighting Pty Ltd. 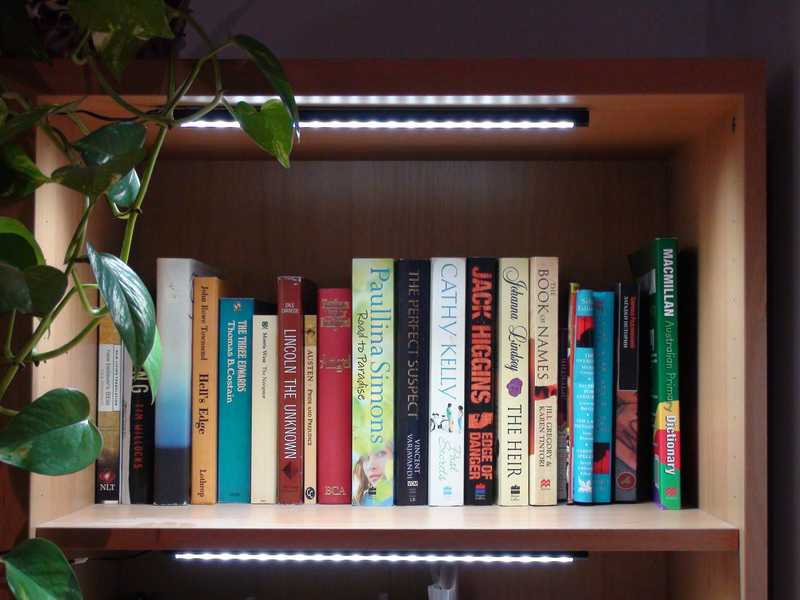 These low profile, Very bright high output LED lights offer an energy efficient, low maintenance and "cutting edge" alternative to traditional under cabinet lighting. Suitable for kitchens, wardrobes, walk in robes, bookshelves, study desks and many many other applications limited by your imagination only. Even and bright illumination thanks to the light diffuser. Easy installation, no need to drill mammoth holes in you furniture. Safe: works from 12V DC. 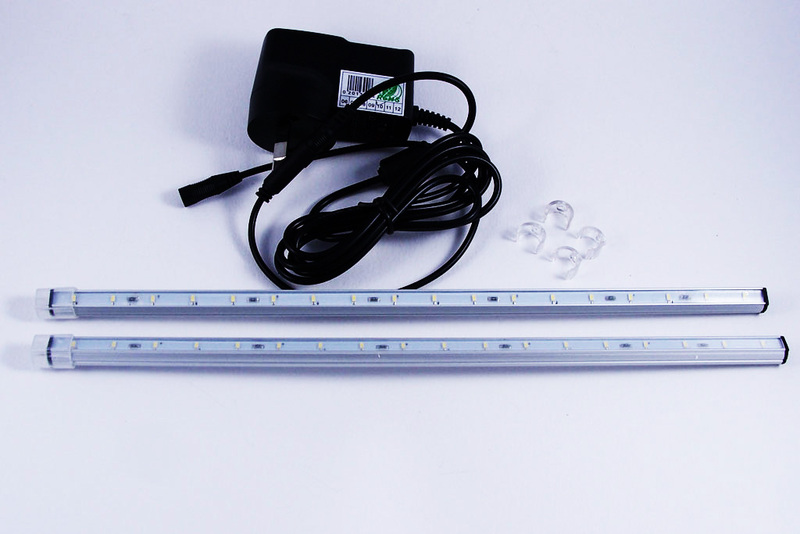 Low running cost due to the low power consumption – only 2W per 30 bar and 3W per 50cm bar. No extreme heat like halogen – safe to touch. Eco friendly – don’t contain harmful chemicals like fluoros. More Bars can be added to our KITs. 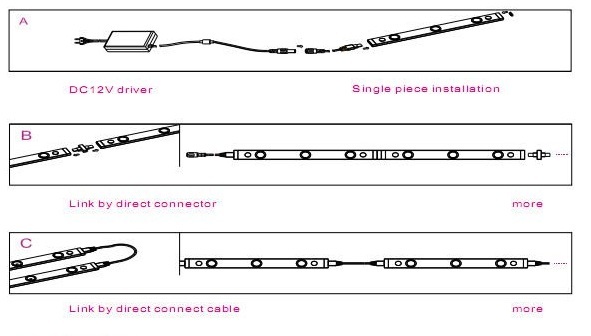 If you need more than 2 Bars ,please contact us for the price. Bought the 30cm kit to install into a 70's retro desk lamp. Perfect fit and good amount of light produced. Power cord could be longer though. Good value for money. 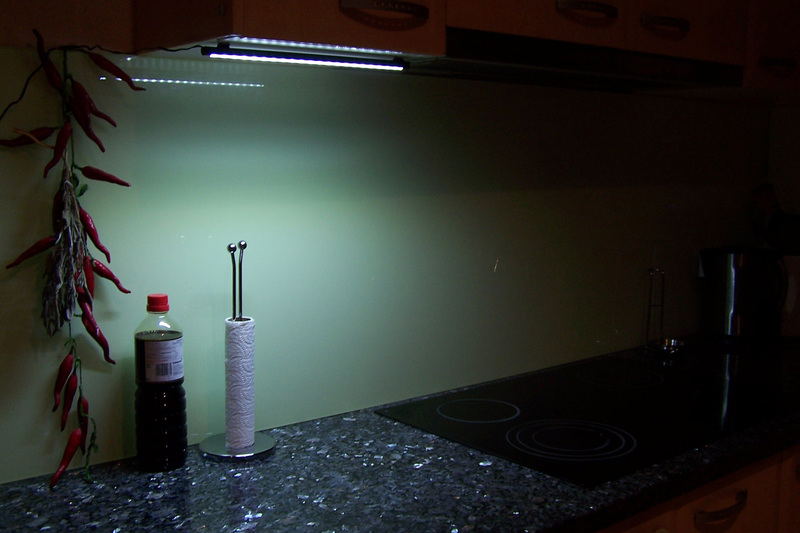 Click the button below to add the Under Cabinet LED Lighting KIT Reduced to your wish list.